Shaded in a bold nautical blue this Half Zip Hooded Jacket from Champion cuts through the noise in a highly wearable staple silhouette. 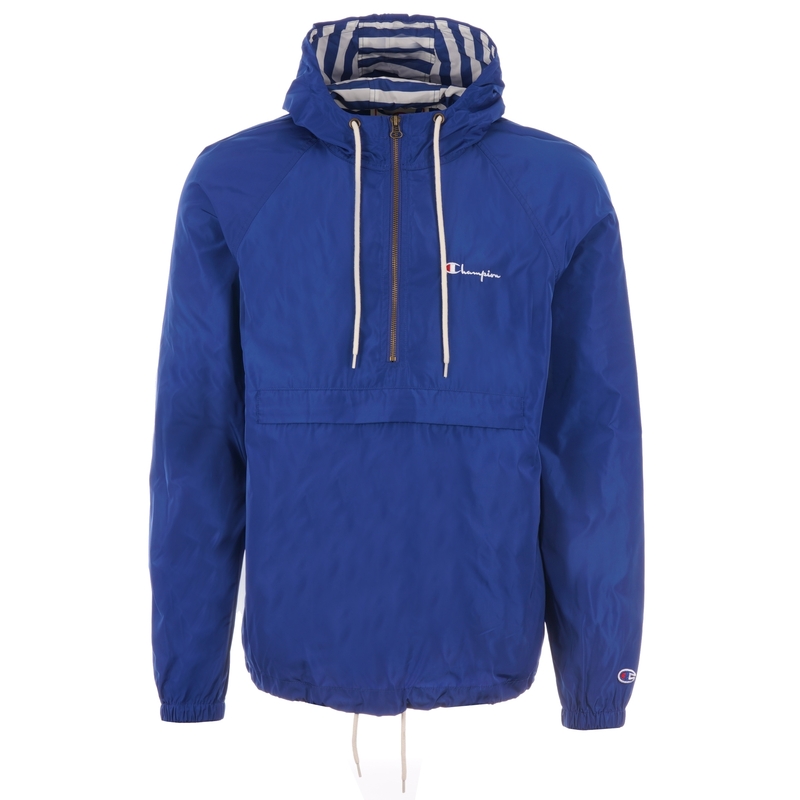 Lightweight and breathable due to its satin like fabric choice a drawstring adjustable hood hood up top compliments the garments half zip placket. With it's understated aesthetic summaries with a zipped flap pocket at the front a Champion script logo at the chest and C patch logo at the left arm cuff complete for a signature finish. Versatile in wear try teaming with a pair of dark wash slim fit denim below the hips for optimal results throughout the course of warmer periods of the year.